As young children, we are taught the words and tune of our National Anthem - for an Aussie growing up in primary school of the 1970s, this means that I had to learn two anthems... the original "God save the Queen (King)" was replaced with "Advance Australia Fair"... surprisingly enough to me, this did not become official until 1984 (we'd been talking about a decade earlier). Anyway, I digress... 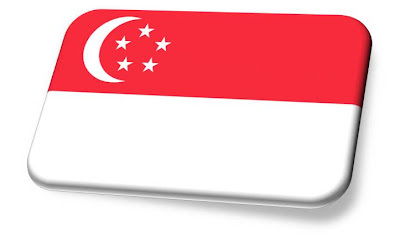 The National Day Parade (NDP) conducted each year to celebrate Singapore's National Day and independence from Malaysia (9th August) - If you've not witnessed this event (even on TV), then you're really missing something huge! I won the best blog award, I selected you as a winner of the Best Blog award. See the following link for details.